Sure, the bottles are arranged rather haphazardly, seemingly where ever they can fit on loosely defined “domestic” and “import” shelves. 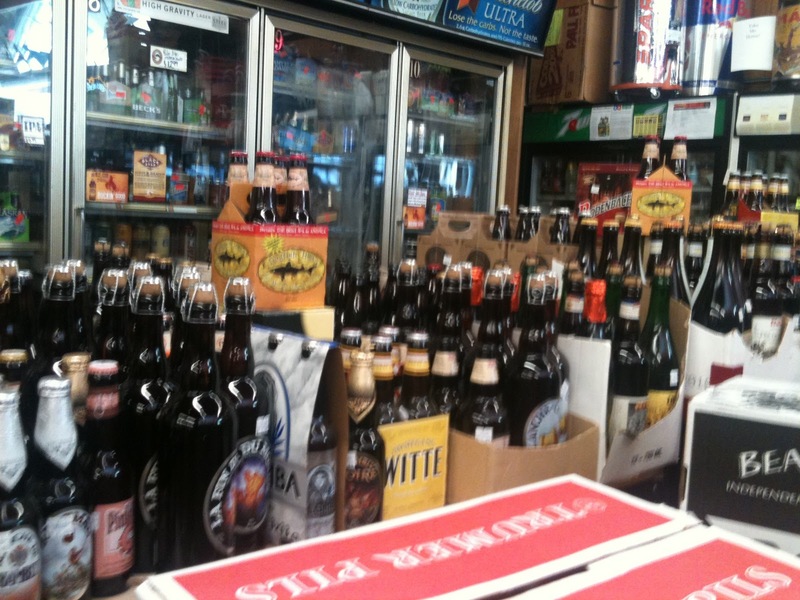 But search through this chaos carefully, and you’ll find beers you rarely see anywhere else. 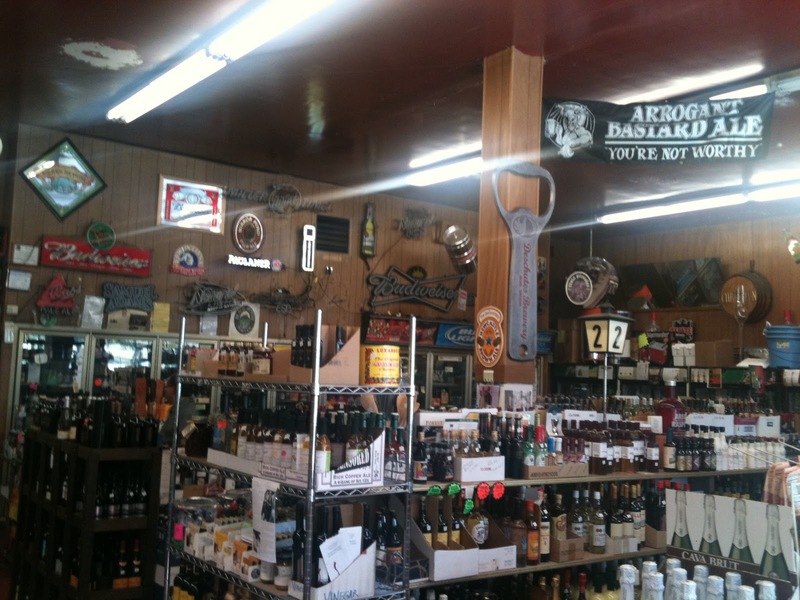 From this unassuming liquor store, I’ve found rare beers such as Dogfish Head’s Hellhound on My Ale and Stone Brewing’s Cherry Chocolate Stout, and there’s always a wide menagerie of Russian River selections. You do not earn the privilege of stocking beers like these on your shelves unless you’ve built the reputation of being one of the best bottle shops in the country. Unlike other bottle shops which often host release parties announcing new beers with great fanfare, great beers at Ledger tend to show up quietly unannounced. And lest you think this store is only for beer geeks, beers like Budweiser, Coors Light, and Keystone are prominently on display. There’s something for everyone here. Looks like I need to make a trip…thank you!!! 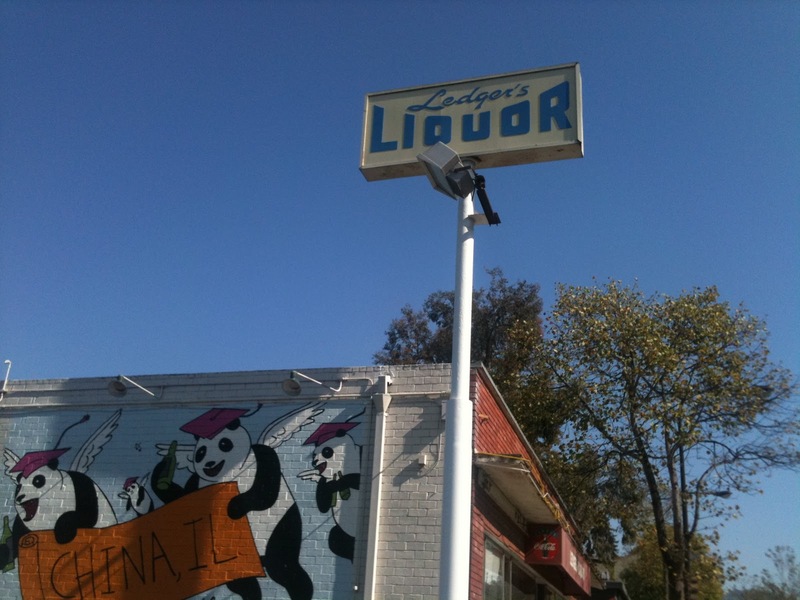 Looks like a liquor store from the north woods of Wisconsin. Very cool.